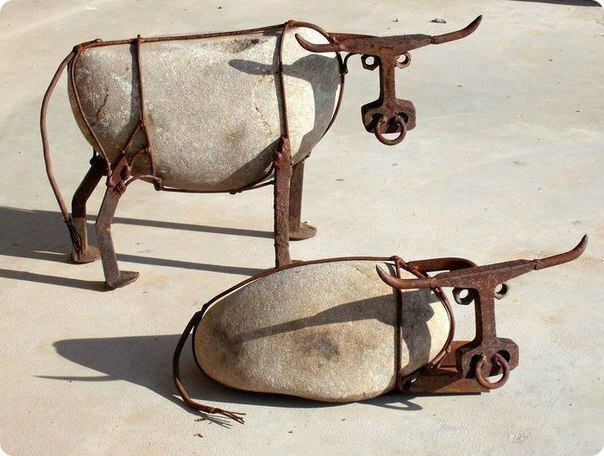 An interesting version of making homemadeTrinkets-souvenirs made of stone, rolled metal and steel parts. This kind of homemade will look good next to all sorts of meat shops, farm offices, "kolkhoz" food markets, etc. However, the product should be treated so that it is not covered with rust, for example, open with varnish or paint.